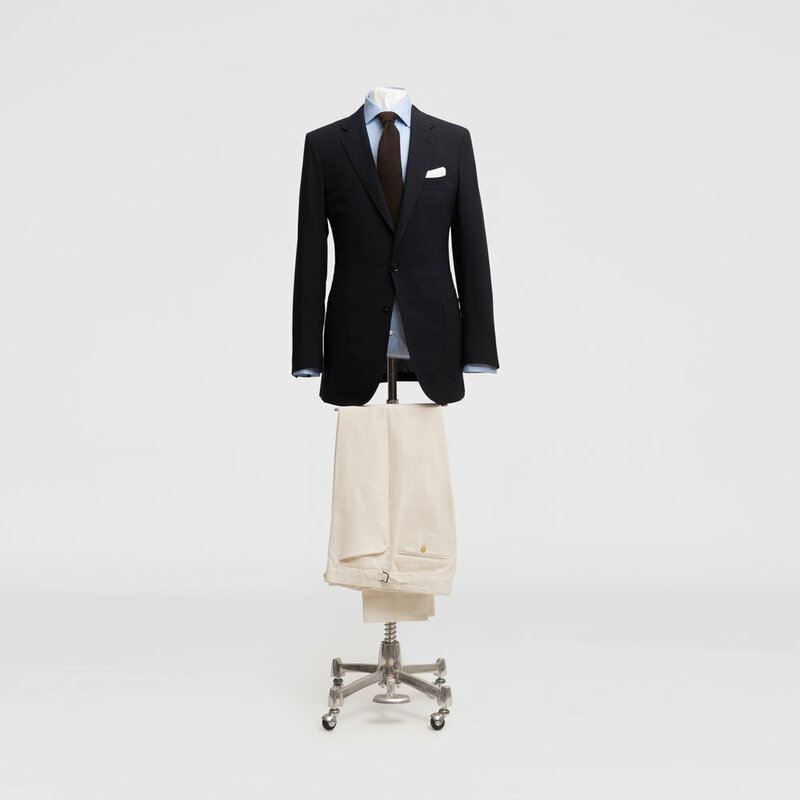 A navy merino jacket is the backbone of a wardrobe. Wear it with a shirt and tie for work, or dress it down if you work in a less formal office, or for weekend events. Go for a lightweight canvas option to give you versatility through the year, in Summer it will be light and breathable, and in Winter it's easily layered. A single breasted closure and a two-button notch lapel is a classic design that can be worn over and over again. We've put together some styling ideas to make sure you're getting the most out of yours. 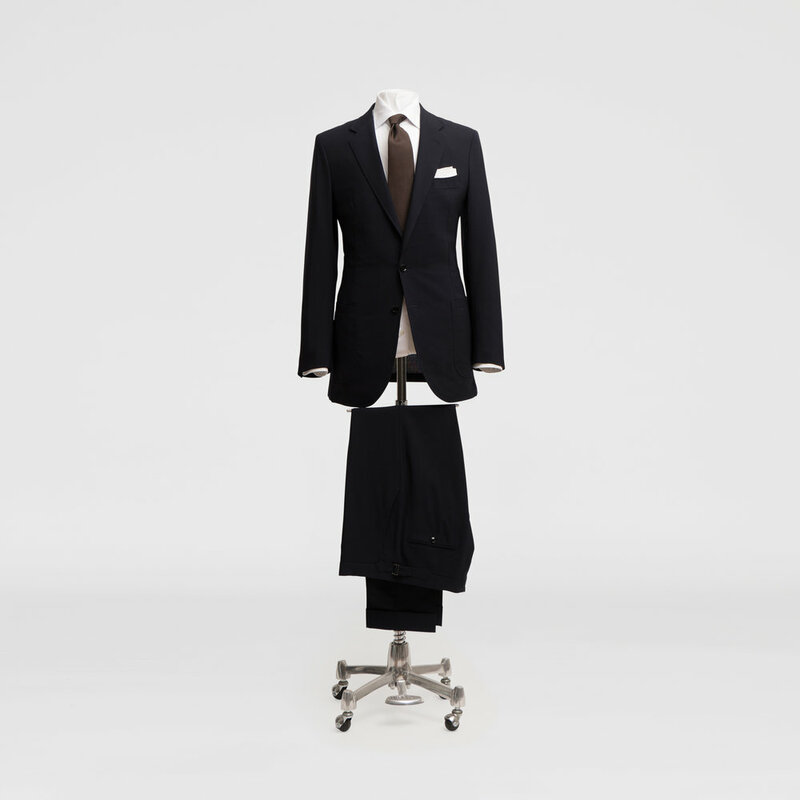 Perfect for a formal office, pair with the suit trousers, a crisp Egyptian cotton shirt and a dark, centering tie. Classic leather shoes and a white linen pocket square will round off the look. Layer a lightweight knit in the cooler months, like this superfine merino pullover from P Johnson. A classic office look with a fresh white Egyptian cotton shirt and silk tie. For a more casual office, pair your navy jacket with heavier drill cotton off white trousers, a brighter shirt and a soft cashmere tie. A linen button-down shirt and casual cotton trousers are the perfect combination for a relaxed weekend event.